With over 35,000 volumes of rare books, incunabula, and manuscripts, Special Collections at the Jacob Burns Law Library flourishes as a unique resource in Washington, DC, for scholars of law and history. Its original foundation of early Anglo-American legal works, and international materials acquired from the Carnegie Endowment for International Peace, has expanded and blossomed in recent times thanks to donations, major purchases at international auctions, and continuing selection of materials from antiquarian booksellers worldwide. Today Special Collections is noted especially for its Continental materials, with particular strength in French legal history. The largest component of Special Collections is the French Collection, with a special emphasis on coutumes, the customary laws of France; coutumiers and commentaries on customary law number approximately 1500. Also represented in the French Collection are legal codes, ordonnances, trials, materials documenting church/state conflict, and works relating to the French Revolution, including many Revolutionary-era pamphlets. In late 2007, the French Collection expanded significantly when the Law Library acquired the important French historical law collection of the Association of the Bar of the City of New York. As one of the finest gatherings of French historical legal materials in the country, Special Collections offers an uncommon opportunity for research into the history of French law and the development of an early civil law system. 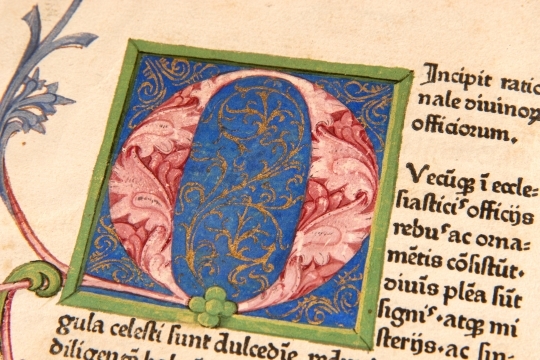 Of particular note is the library's growing collection of incunabula, books printed before 1501 using movable type. Also among the earliest titles are many works of canon law, the body of laws made or adopted by the Catholic Church, and the western world’s oldest continuously-performing legal system. A large collection of trial accounts and transcripts spans the globe as well as several centuries, and includes a number of witchcraft trials, some in manuscript. The library has important holdings that treat matters of church and state, and its collection of historical international materials includes a comprehensive Grotius collection, which is one of the largest in this country, and includes not only the legal works of the “father of international law” but his religious and miscellaneous writings as well. Researchers in the history of civil law will find a large collection of materials, mostly French, with materials from Germany, Italy, and other civil law countries, as well as a substantial Roman law collection for studying the genesis of civil law systems. With the acquisition in 2010 of the German materials from the historical foreign law collection of the Association of the Bar of the City of New York, the Law Library added a sizable collection of mostly nineteenth- and early twentieth-century titles from a critical period in German jurisprudence when legal scholars confronted the necessity of codification and the form it should take. Of particular value in this collection are works which provide insight into the drafting of the German civil code. Early American materials include acts and laws of the colonial era, and state codes of the post-Revolutionary period. Among these works are books owned by notable figures such as United States Supreme Court Chief Justice John Marshall and lawyer Francis Scott Key. From the late revolutionary period is the entire twelve-volume run of Mathew Carey’s eclectic periodical The American Museum (1787-1792), considered to be the first literary journal in America and the leading magazine of the founding era. The Archives features the Dembling NASA and Government Procurement Collection, donated by the prominent Washington, D.C., public servant and lawyer who authored the National Aeronautics and Space Act of 1958, and served as General Counsel for both NASA and the General Accounting Office. To view Mr. Dembling's videotaped oral history of the formation of NASA and more, please visit the Archives section of this web site.